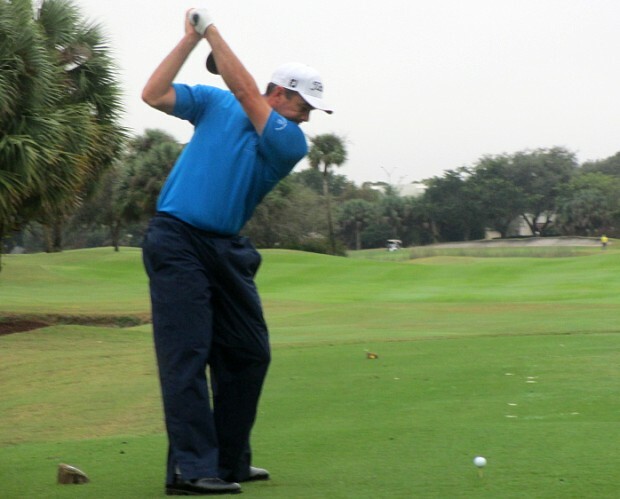 PLANTATION, Fla. – Brad Adamonis of Cumberland, R.I., sank a 15-foot birdie putt on the first playoff hole Thursday to earn his fifth victory on the Golfslinger.com Tour. 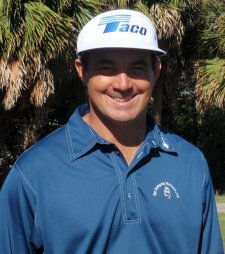 He outdueled Jake Katz of Buffalo, N.Y., after they tied at three under par 68 on the East course at Jacaranda Golf Club. Each player made six birdies and three bogeys in regulation. Adamonis earned $800, Katz $575, from the $3,810 purse. Golfslinger’s 11th tournament of the month drew 30 starters. 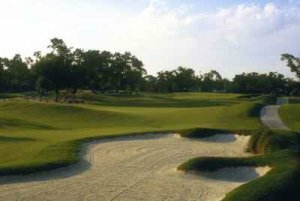 The tour’s first “major” of the year is scheduled Tuesday-Thursday (Feb. 4-6) at the Country Club of Coral Springs. There were 60 entries by Thursday night, assuring a first place prize of $7,000. If the field reaches 78 players, the winner will receive $10,000.